HMH Books for Young Readers, 9780618999767, 352pp. It's the delicious, precise, and atmospheric details (nicely extended in Tanaka's few, stylized illustrations) that will capture and hold readers, from the contents of Theodosia's curse-removing kit to descriptions of the museum after hours, when Theodosia sleeps in a sarcophagus to ward off the curses of "disgruntled dead things." 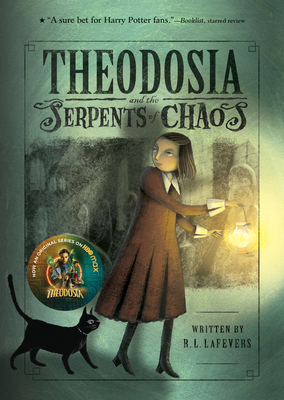 Kids who feel overlooked by their own distracted parents may feel a tug of recognition as Theodosia yearns for attention, and those interested in archeology will be drawn to the story's questions about the ownership and responsible treatment of ancient artifacts. A sure bet for Harry Potter fans, as well as Joan Aiken's and Eva Ibbotson's readers. This imaginative, supernatural mystery will find word-of-mouth popularity.